Keeping information secure from hackers is one of the biggest concerns of both business owners and customers. Magento takes security as one of its highest priorities, and offers a Secure Payment Bridge which provides a high data security standard. Search engines are constantly updating their algorithms but platforms and software often take a while to update. 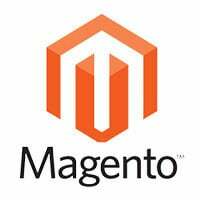 With that in mind you need something that is friendly from the off and Magento certainly fits the bill, with easy to read URLS, canonicalization, meta tag control, site map control – the list goes on. You can also use many extensions to achieve the highest level of optimisation available for your site. Most business owners will embark upon their journey hoping that the internet will allow them to grow their business, and Magento allows you to do just that. The platform is built to scale as you can add extra web serves when you need to manage the increase in traffic, without having to employ someone to edit the code of your existing site. Linked in with the previous point, if you’re looking to expand your business internationally for example you will want you design to look the same but just for some details such as pricing to change. Magento is well set up to allow you to do this, it can run multiple stores from the same back-end platform which allows you to keep track of your inventory. Although Magneto is complex, it is not complicated and comes with a whole host of ready-made functionality such as popular shipping methods and also popular payment methods such as PayPal, making it one thing less on your list! When you are a Magento user, you’ll have access to the community marketplace of both free and paid for add-on’s that can help to extend your websites functionality such as marketing plug-ins or allowing dynamic content. The basic theme Magento offers might be one that you’re happy with, but it also offers a breadth of personalisation options for both desktop and mobile sites. It also allows you to update your design for Christmas for example, and you can often find themes online either for free or paid for if you are unable to create your own. User experience is at the heart of all website-design, and Magento allows users many options to both utilise and navigate a website. They can flick through and zoom in on product photos for instance, and view related products allowing for a good opportunity of upselling. Marketing your site is another crucial factor that Magento takes into account. It allows you to integrate popular solutions such as Google Analytics, MailChimp and many more, meaning both you can get the user data/statistics you need, and your users can learn more about your company and offers. Choosing one of the most popular platforms on the market also means that you have a vast community of support to help you. There are tons of blogs, forums and other resources should you have a problem, and also many places to learn more about how best to utilise the platform.